All India Bar Association has sought Presidential Reference on the “controversial collegium and NJAC issues as appointment of at least 125 Judges for various High Courts is hanging fire”. 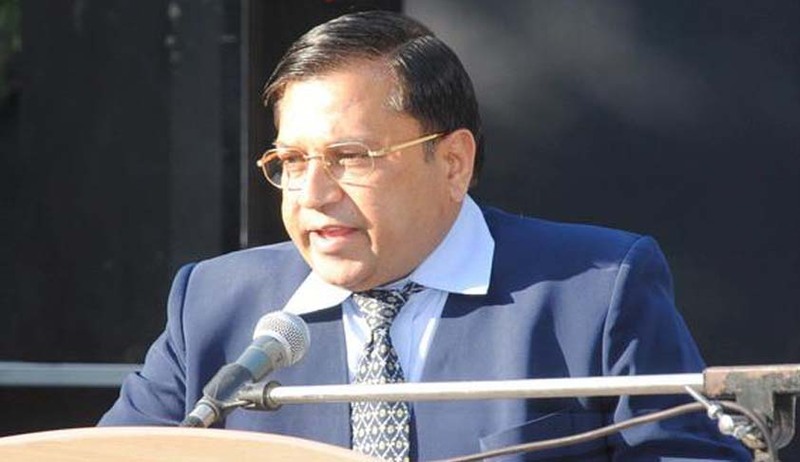 In a representation to the President, AIBA Chairman and senior advocate Dr. Adish C. Aggarwala the President’s intervention to ensure that the ongoing hearing of the NJAC case before the Supreme Court has referred to an 11-judge bench for a comprehensive settlement of the raging debate. Mr. Aggarwala drew the attention of the President to Attorney General Mukul Rohatgi’s plea to refer the matter to a larger bench of 11 judges so that the issue could be settled once and for all. The AG is keen on considering the decisions in the Judges’ case of 1993 (Supreme Court Advocates-on Record Association v. Union of India) and 1998 (In re Special Reference 1 of 1998), which had paved way for the collegium system. The Bench is yet to take a final decision on the issue. He has also claimed that the 1993 judgement violated “the doctrine of separation of powers among the three organs, viz executive, judiciary and legislature”. The Supreme Court in the case of Supreme Court Advocates-on-Record Association v. Union of India in dealing with Article 124(2) and 217(1) of the Constitution interpreted the word “consultation” to mean “concurrence”. The Advisory Opinion of the Supreme Court in Special Reference No. 1 of 1998 prescribed a distinct process of appointment whereby the judiciary through its “collegiums” consisting of the Chief Justice and two or four senior judges, as the case may be, would recommend names to the President, who then is bound by the decision of the Collegium. Whether the decision of the 1993 judgment declaring “consultation” occurring in Article 124 of the Constitution as “concurrence” and further reiterated in 1998 was the correct interpretation. Whether in doing so the Supreme Court had traversed beyond the legislative intent of the framers of the Constitution. Whether or not such an interpretation would amount to judicial legislation and re-writing the Constitution. Whether the flawed collegium system with its opaque and non-transparent manner of appointments should continue forever; whether the National Judicial Appointments Commission has in any manner violated the basic structure of the Constitution. Whether vesting the power of appointments to the Commission will affect the independence of the judiciary. Whether merely because two “eminent” persons are to be nominated, the NJAC dilutes judicial independence. Whether giving equal importance to the judiciary the law minister and two eminent persons will disturb the checks and balance in the Constitution. LiveLaw had reported earlier in the day that the Supreme Court Advocate on Record Association (SCAORA) had opposed the government’s plea for referring to a larger bench the challenge to the NJAC contending that the issue before the court was whether it was in conformity with the basic structure of the constitution or not. Senior counsel Harish Salve appearing for Haryana had urged the court that in order to give weight to the entire consideration of the issue, the matter should be referred to larger bench of nine or 11 judges. Read the LiveLaw story here.